Synopsis: The Society chooses everything. 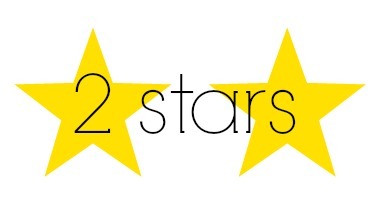 Review: Wow, this one was a boring one wasn’t it? Did anything really happen in this book other than Cassia going on her little mission to find Ky then finding him? I mean, he was shipped anywhere in America and she found him so easily it seems. That seemed super unrealistic. Hearing them talk about one another got on my nerves real quick. Oh Cassia, I love you, think of our poems. Oh Ky, I love him, I wonder if he thinks about poems. Poems. Poetry. Love. Blegh. That’s basically the jist of the novel. I really kind of liked the dystopian universe that was created in the first book, Matched. However, whatever went on in this one was terrible. I will say though the her writing is really good. I can’t really form a review on this one as not much really happened. We do learn a few things in this one that we didn’t know in Matched but they weren’t all that shocking. I hope that the third one makes suffering through this one worth it. I will not give up. I will give it a chance!! What other series has suffered the “2nd book syndrome”? 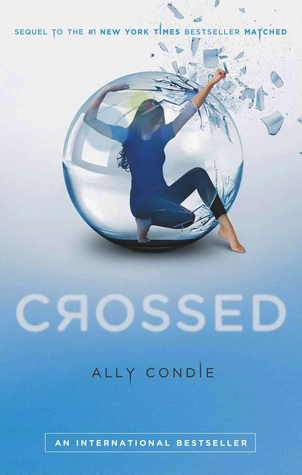 This entry was posted in ally condie, book review, crossed and tagged book review. Bookmark the permalink. I agree! This book was very disappointing compared to the first one. I think Cassia is a shallow character and has no spine 90% of the time. I quite enjoyed the first book, but I think the third book is the best one. I hope you enjoy the next one too! The third book is better than the second because stuff actually happens, but I felt like it was all over the place and was trying to fit too much into it. Whereas in Crossed nothing happens, Reached has too many sub-plots. Nevertheless, i hope you like the finale more!